Is http://www.marathonguide.com book marked on your computer? Do you start to feel down when you haven’t run a marathon in a while? Do you have so many marathon medals that you’ve run out of room on the hook they hang from? When asked about your racing from non-running people, do you find yourself talking with great passion to the point that the person that asked the question regrets ever asking? When asked by loved ones what your plans are for the weekend, you feel guilty telling them your running another marathon so you tell them “it’s only a half this weekend”? 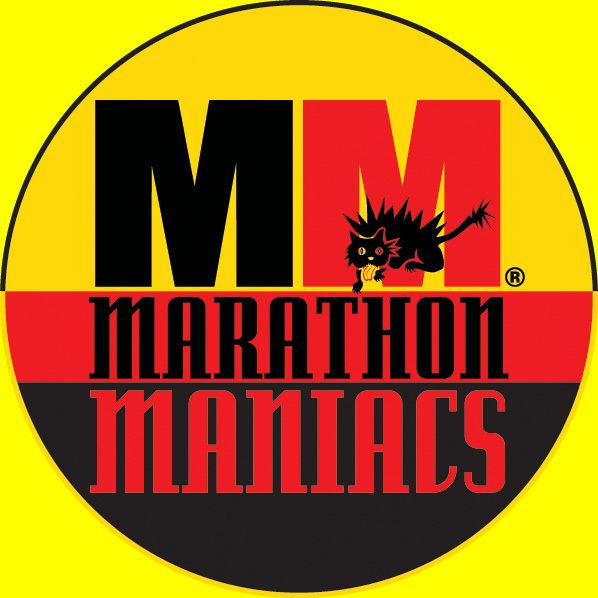 Check out Marathon Maniacs to learn more! I’ll let you know if I am addicted in 10 days! Congrats! Good luck Smitha & be careful! Whoo hooo! I always thought I wanted to do this, but I don’t think I could do two so close together. After I finish a marathon I just want to take a break and not sure my body could handle it! Sue- I used the run walk method (ratio 3:1, run 3 minutes, walk 1 minute), which I struggled with during training, but it was so much easier on my body. I have struggled with IT band pain and never thought I would be able to get passed the half marathon distance for years.